Hello, Fall. I’ve missed you terribly. You didn’t write. You didn’t call. 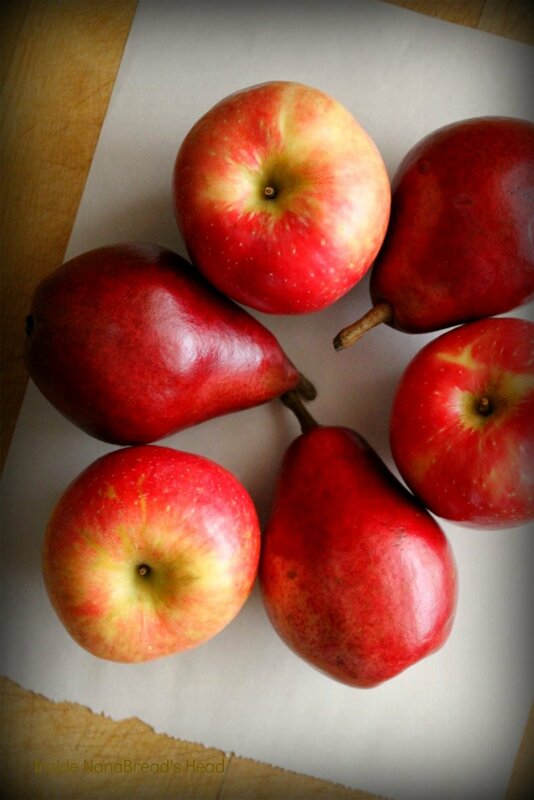 I love fall fruits, especially apples and pears. Earlier this week, a blogger tweeted that she’d just tried her first SweeTango apple and it blew her mind. She mentioned her favorite apple had always been the honeycrisp, and that’s what caught my attention. Honeycrisps are my favorite apple, too. So my next visit to the grocery store, guess what I looked for? You got it. And was she right? You betcha. Crisp, super sweet and beautifully colored, I’m afraid these are going to become my new apple obsession. They are spectacular. Pie worthy, in fact. For this pie, I sliced my apples thin and my pears even thinner. 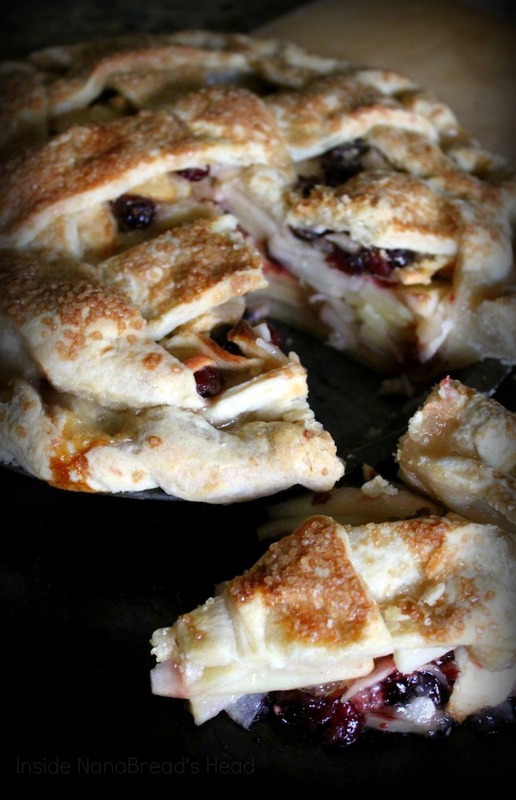 I usually like a big chunky apple pie, but for this one, I wanted thin slices piled high and dotted with dried cranberries. The heart wants what the heart wants. Here’s food for thought… I watched an episode of Cook’s Illustrated on PBS and they used fruit pectin powder to thicken a peach pie. Say what? Now I’ve used pectin for years when canning fruit, but it never occurred to me to bake with it. Makes sense, if you think about it, so I decided to try it with this one. And since I used instant tapioca granules to thicken my peach pie this summer, I wondered what would happen if I did both. For science. Why not, right? Combining apple juice, sugar, instant tapioca, pectin & vanilla extract, I made a slightly thick, gently sweetened, vanilla-kissed filling that paired perfectly with the apples and pears and created a nice balance for the tart cranberries. Once the mixture was thickened, I just poured it over the fruit and tossed it to coat. So quick and simple. The tapioca still looks a little cloudy here, but don’t worry – it’s clear and unrecognizable once it’s baked. After that, it’s just dough, butter, blah blah PIE! Man, how I love pie. But seriously, there’s only one pie dough recipe for me, and it’s Kirsten’s ‘No Excuses Pie Dough’ from ComfortablyDomestic.com. Once you make this one, nothing less will do. I make it in batches, wrap it in plastic, seal it into heavy bags and pop it in the freezer so I can produce pies on a whim. 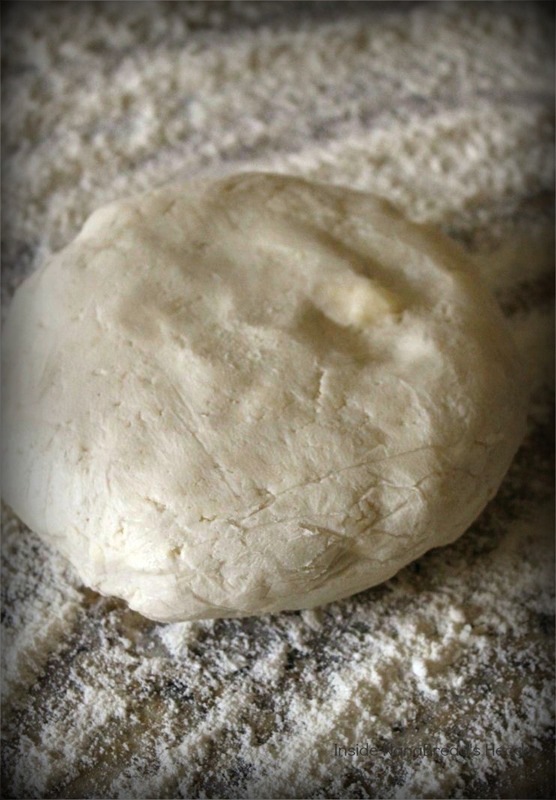 And that’s another reason I love this recipe – Kirsten’s dough freezes beautifully. Just thaw, roll on a floured surface, and pop it in a pie tin. And then concentrate on stuffing every last bit of that filling into that shell. 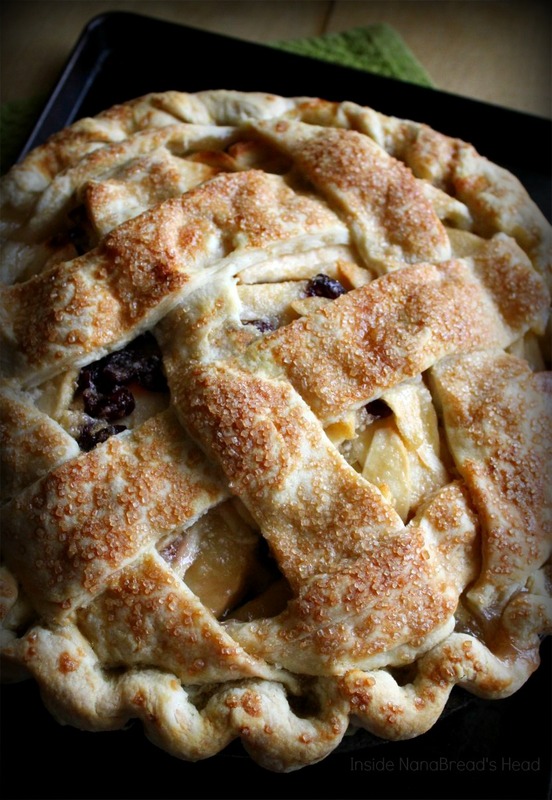 Top with a fat, rustic lattice, crimp the edges, brush with melted butter and sprinkle generously with raw sugar crystals. Easy, right? It really is easy. The only hard part is the waiting – for it to come out of the oven when it smells so amazing, for it to thicken and cool, for dinner to end so you can cut it. It’s always the waiting part that gets me. Start by making the pie dough and chilling it in the refrigerator for at least 2 hours or the freezer for 30 minutes. While your dough is chilling, prep your fruit and filling. 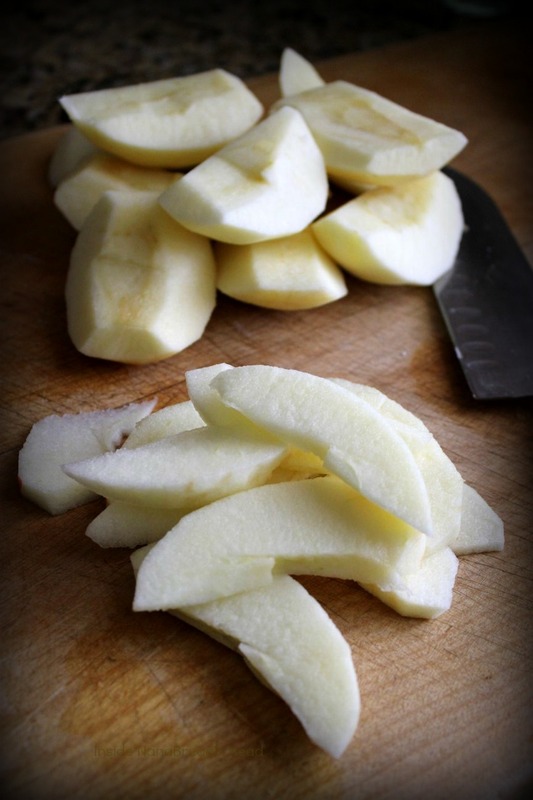 Peel, core and thinly slice the apples and pears. I sliced my pears a little thinner than the apples since they take a little longer to bake. 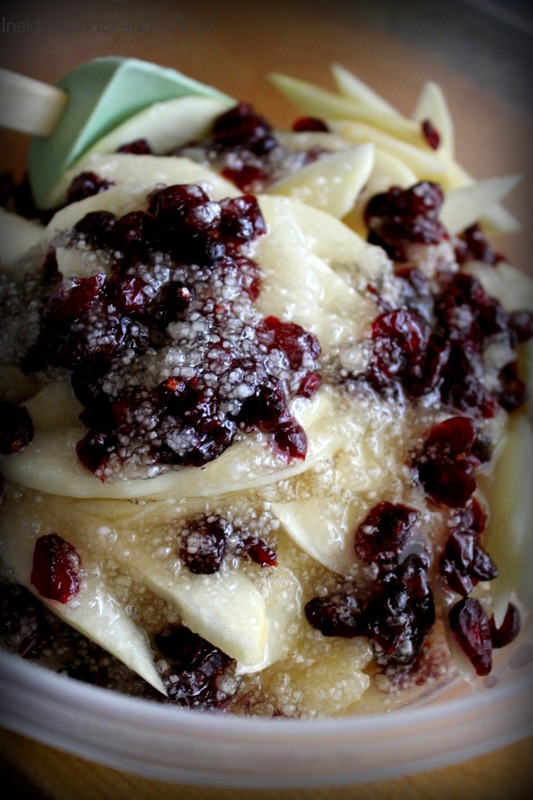 Place in a large mixing bowl and sprinkle in the dried cranberries. 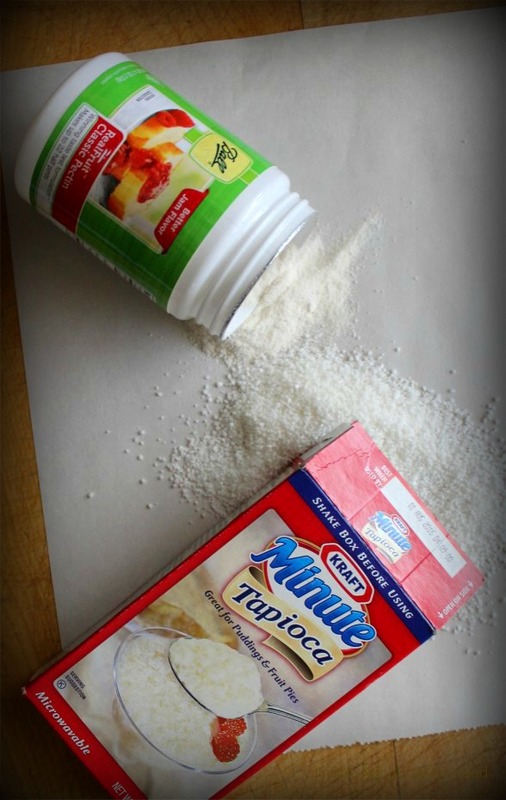 In a small saucepan, combine the apple juice or cider, tapioca granules, pectin and sugar. Cook over medium-low heat, whisking often, until the sugar is melted and the mixture begins to bubble. Turn off the heat and whisk in the vanilla extract. Remove the pie dough from the fridge and roll out a bottom crust, placing it gently into the pie tin. 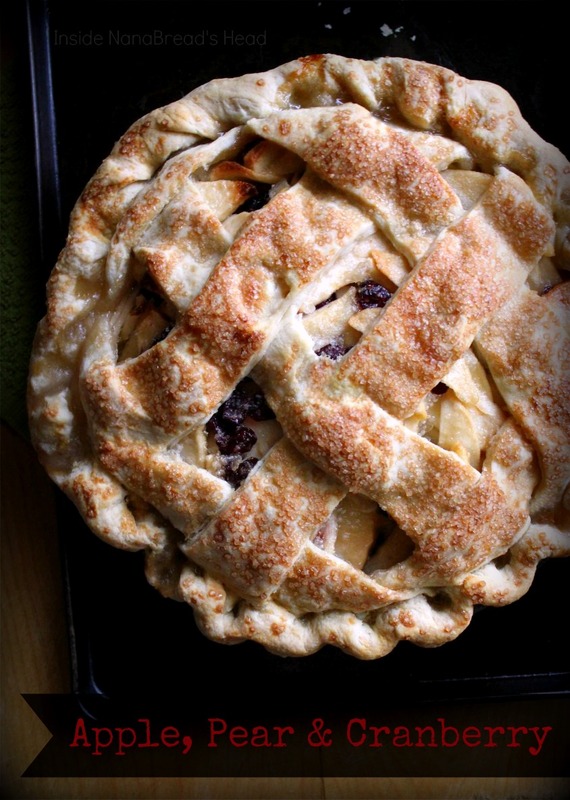 Roll a top crust and cut into wide strips (1 1/2″) so you can form a rustic lattice top. Pour the filling over the fruit and toss to thoroughly coat all the fruit. Spoon it into the pie shell, pressing it gently into the crust to compact the fruit. Lattice the pie dough strips onto the top of the pie, then roll the lower crust edges around the edge of the pie tin and crimp all around. In a small bowl, melt the butter and brush the entire crust. If there is melted butter left, simply pour it over the top of the pie. 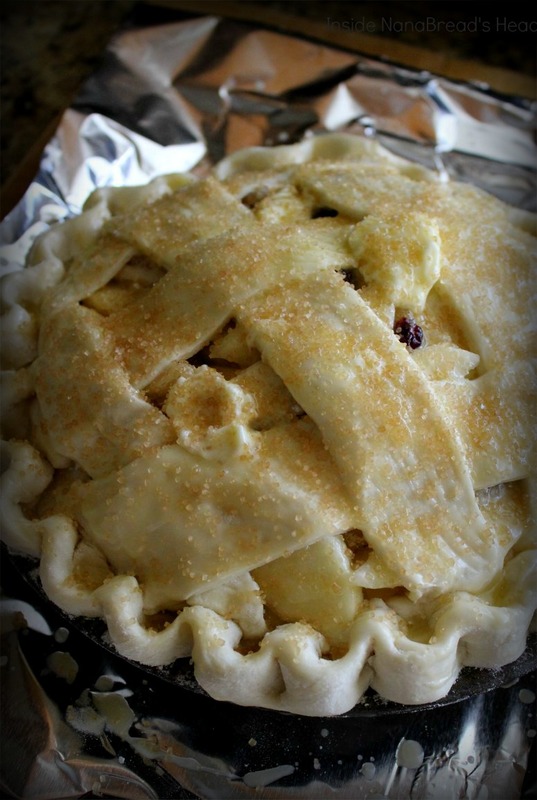 Sprinkle the entire pie with the raw sugar granules. Bake in a pre-heated oven (375F) for 45-60 minutes, turning every 20 minutes, until light golden brown. Watch it once it starts to brown. Everyone’s oven is different, and yours may take more or less time depending on how hot it runs. Once golden brown, remove the pie from the oven and allow it to cool completely before serving (4-6 hours). This pie was so good! It’s going on my ‘must make’ list for the holidays now. I might even rank it above all former apple pie recipes as my new favorite. Maybe even above most other pies in general. It’s definitely invited for Christmas. Sorry, Pumpkin Pie. I’m breaking up with you.